NPS padded round science lab stool with backrest offers a comfortable vinyl seat. Reliable steel frame with footrest. 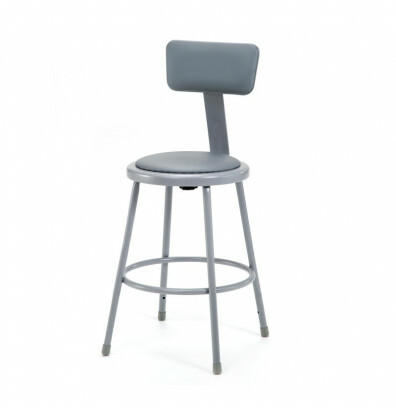 National Public Seating 6424B 24" seat height round science lab stool features a padded vinyl seat. Heavy-duty 18 gauge steel tube frame. Backrest adjusts up / down and forward / back to find the most comfortable position. Welded footrest provides added support. Sturdy 4-leg base with non-marring polypropylene glides.